Legends rise in the newest addition to the Final Fantasy collection. 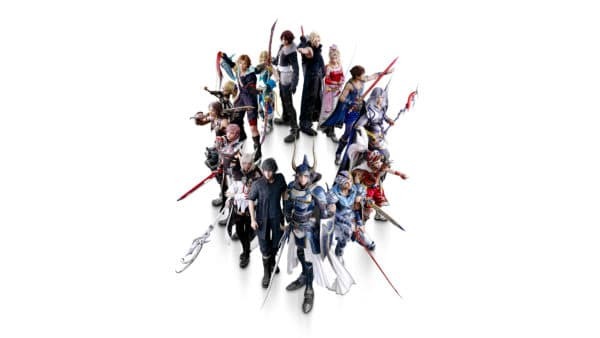 Players take up arms as their favorite Final Fantasy characters in hopes of attaining bragging rights and to save the world once more. 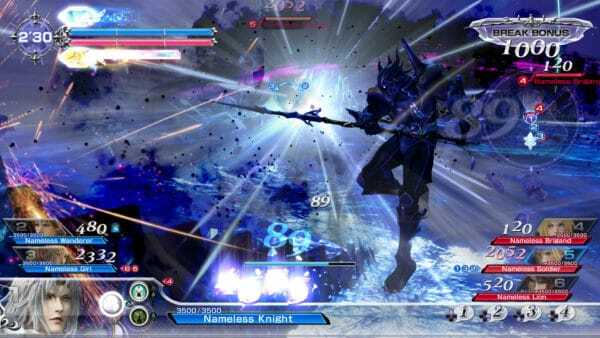 Dissidia Final Fantasy NT launches with a roster of over 25 characters while introducing a whole new fighting style that’s different from the game’s previous installments. I spent probably about 15 or so hours with the beta, which runs until Sunday, January 21, 2018. 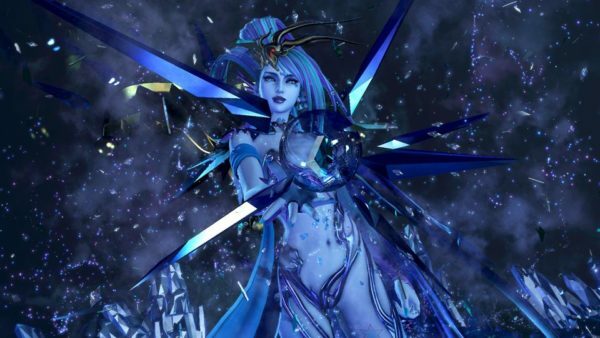 The Dissidia Final Fantasy open beta provides a very good glimpse at what the game truly is. A Brawler built around a team dynamic that wants to push into the E-Sports arena. The main menu allows players to choose between offline and online modes. Playing offline puts you into Gauntlet Mode. Where your party battles in six straight matches. You can choose the difficulty level of each match as well. So it generally lets players set their own pace. If you are just starting out, playing a few matches on Bronze may help. Then, move up to Silver or Gold, and so on. Online Mode puts players into a waiting area. And depending on if you are playing by yourself, or if you brought two other friends along, may determine how long you wait for it to find three to five other players. It’s quite possible this gets fixed with a patch, or just by having a much bigger install base post-release, but some of the wait times were rather long. I never had a problem finding a match, but most of the time the fights didn’t start quickly. This could also be changed in the full game, but in the beta, there is no matchmaking. So, online play is a crapshoot. You may play one match where you steamroll through a team. The next match, you are beaten in a few minutes. So, it may not be wise just to buy the game and immediately jump online. Use the offline modes to learn the game, use the tutorial, and you’ll have a better time online. 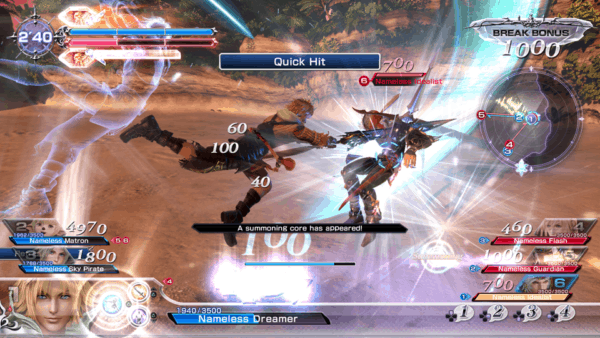 The original DISSIDIA games had players face off in styles similar to various games in the Fighting genre. 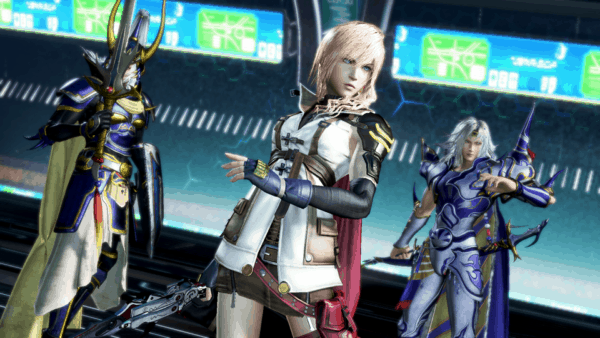 However, DISSIDIA NT introduces a new style to the franchise by using the 3v3 team system. The game is set several years after the events of the original installment. The cycle, thought to have been broken, has restarted once more. Although, this time the goal is different. Instead of two sides fighting, each warrior fights to continue on in their world once more. Players can invite their friends. As well as group up with other random players from around the world in teams of three. The aim is to knock out your opponents within a matter of 10 minutes or less to come out victorious. Be careful though, because letting the time run out also leads to defeat. Players visit their favorite spots from the entire Final Fantasy series. Battling the other team on places such as: Midgar, Alexandria, Cornelia and more. Many of the stages in Dissidia NT are improved not only graphically, but space wise as well. 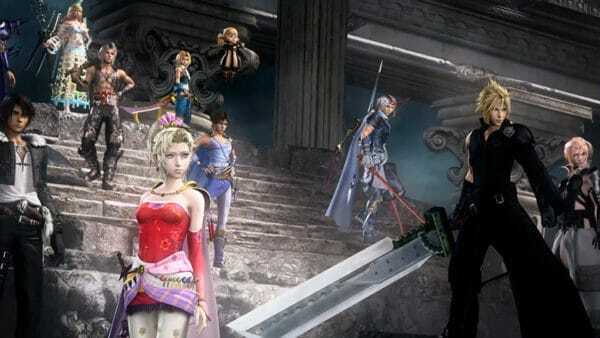 The confined corners, which are limited in the original Dissidia games, are now expanded. Giving even more detail on the PlayStation 4. Thus creating an arena similar to the actual place in their respective games. And what’s a Final Fantasy game without summons? Dissidia NT launches with seven summons, which are all available in the beta. The game allows you to choose one specific summon at random when starting it up. Then, as you gain levels, you unlock more. You can select from Shiva, Ifrit, Ramuh, Odin, Leviathan, Bahamut, and Alexander. When the team enters a match, players vote to choose one summon, with majority vote gaining entry into the match. Summons help turn the tide of the battle. And in order to use them effectively, players must go after cores. These cores help speed up the progress bar to activate the summoning rite. If an entire team can time it well, summoning happens in only a matter of seconds. Granting you a great advantage for the length of time the Summon appears. 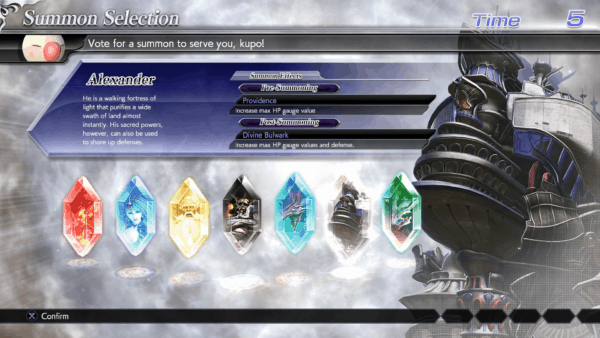 Many components from the original Dissidia installments are present in the beta. Attacks are still divided between Bravery and HP. Although, the beta does feature a new rock-paper-scissors type system. All characters in the game are divided into four categories: Vanguard, Assassin, Marksman, and Specialist. While all characters can easily battle the other. If you hope to be the very best, a balanced squad is needed to counter the opposing team. Special abilities are separated into buffs and debuff skills. A buff skill can help the team with raised power. While a debuff skill can cause opponents to lose bravery. Bravery is the amount of power and damage that an HP attack can deal. Once the target is hit, Bravery resets to zero. A skilled player must avoid any damage though, because another player can easily break you, if you are low on bravery. Once broken, players who caused the break receive double their bravery and can perform a deadly HP attack. While the player that is broken is one HP attack hit from being incapacitated. Helping close the gap of victory, since gaining three incapacitations in one match grants you the win. Dissidia Final Fantasy NT is a difficult fighting game. It introduces a chaotic system that is different from your average brawler game. Focusing mainly on teamwork and coordination. Many of the matches you lose are due to poor communication and support. It’s easy to get teamed up on and even easier to get knocked out in a matter of seconds. As a whole game though, the beta focuses on online matchmaking and the offline arcade mode. A huge portion of Dissidia FF NT is spent building up your rank online. Although, you do build up a separate one in offline modes too. Lastly, whether you are a returning player to the series or this is your first Dissidia game, understand this is not a story based game. There’s even less story here than in the original games. There’s also no tabletop map either. In fact, the game forces you to level up either online or offline to receive Memoria. Memoria unlocks story cutscenes or pre cutscene battles, (although you can’t play any of the battles in the beta.) So, you’ll watch a cutscene that lasts about a minute. Then, you go right back to grinding away for another Memoria crystal. Wash, rinse, and repeat. 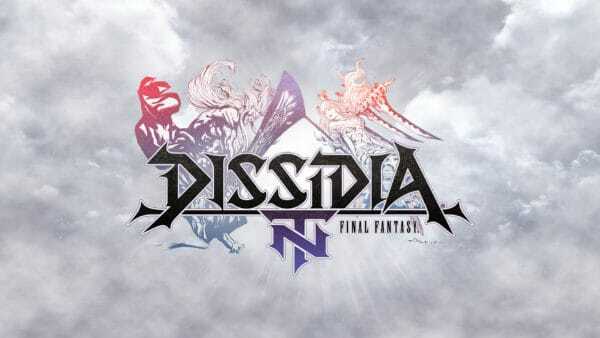 I just feel that people should know, Square-Enix meant Dissidia FF NT as a fighting game. And the story follows the same path of most fighting games in that regard. 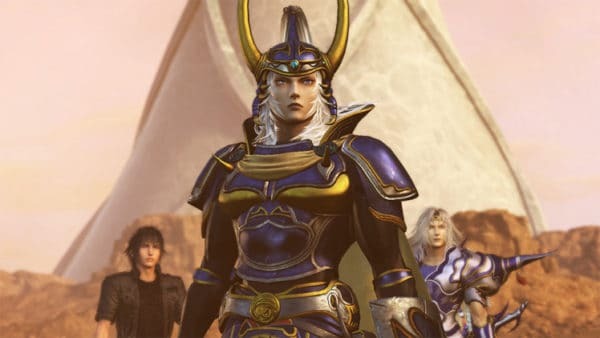 I enjoyed the original Dissidia games, not only for the story but also for the simple fact I can play as my favorite Final Fantasy character pitting them against other characters in some timeless scenery. After spending a lot of time in the beta, I believe this may be the best spin-off added to the series. FF NT brings with it a lot of improvements but also feels different from its predecessors. Square-Enix is already promising to add new characters via DLC and may add even more than that in the future too. So, looks like things are shaping up well for when Dissidia Final Fantasy NT releases on January 30 outside of Japan.